I was VERY happy with my treadmill workout tonight! 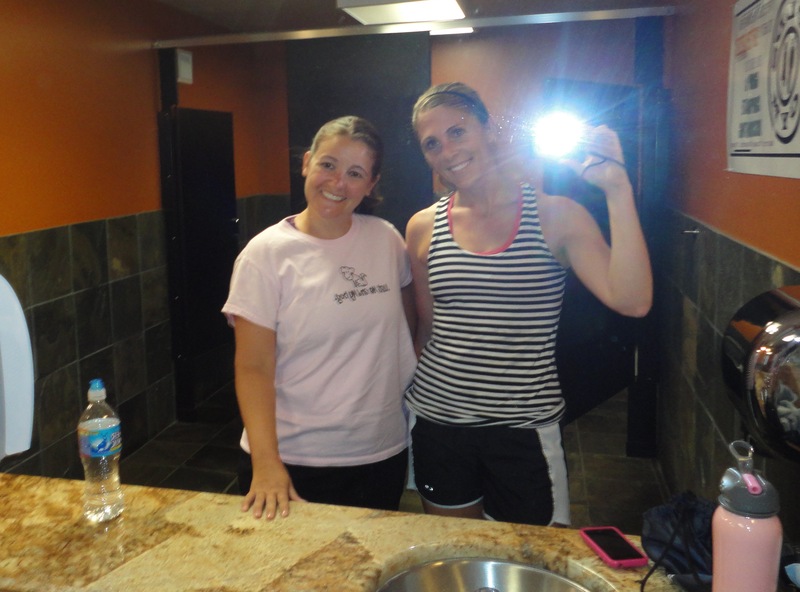 My friend Kim was coming to BodyPump class with me by using one of my guest passes. I wanted to get 3 miles in before she got to the gym, so I pushed myself at the end to finish in time! Made a shake after class with a scoop of this and 1/2 a scoop of chocolate protein! 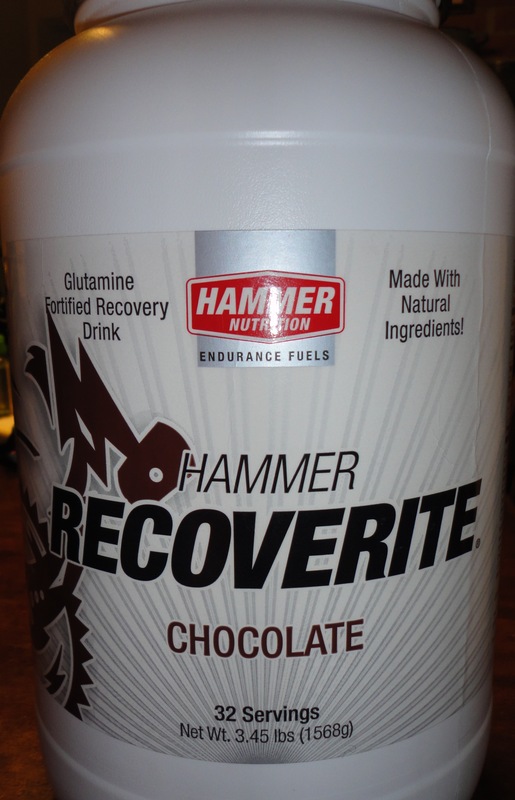 Hopefully I will feel much better tomorrow and my recent soreness was because I wasn’t taking recovery shakes! Earlier today, my Mom and I went on a few errands! 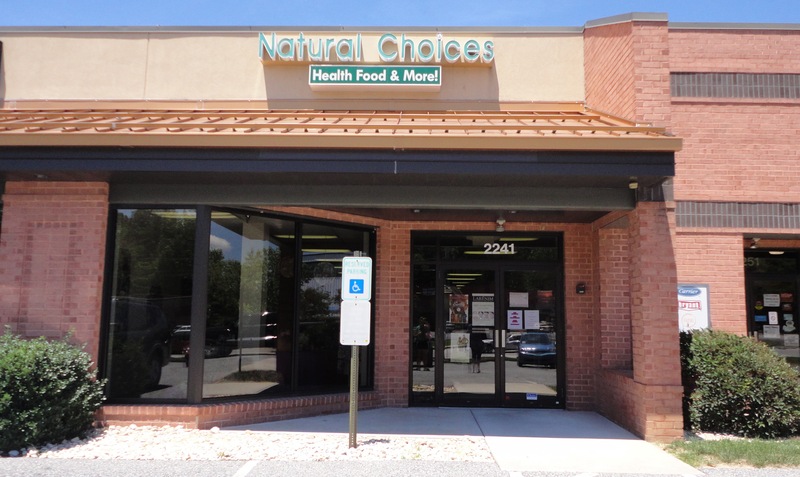 I always wanted to stop in this Health food store and we did today! I found Justin’s nut butters! 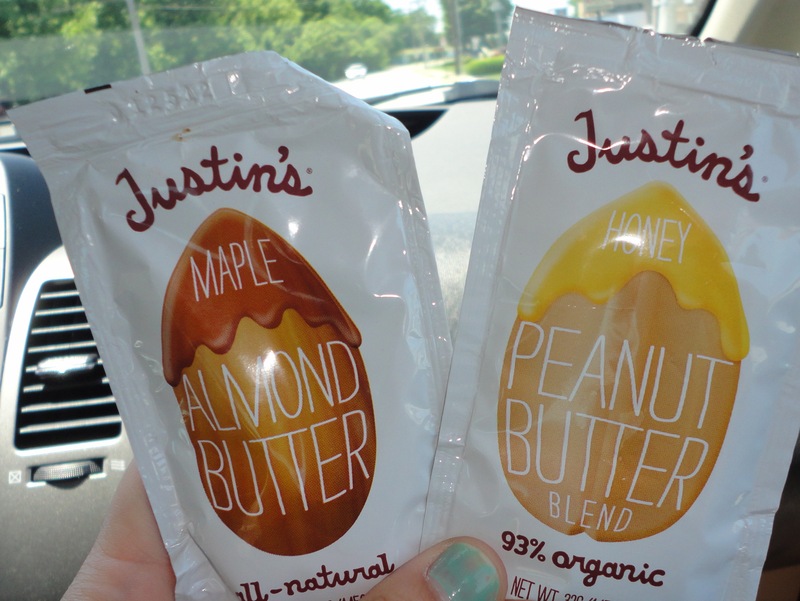 I see these on so many blogs and was very excited to find the peanut and almond butter! I got the sample packets to try out before I decide which jar I want to buy. 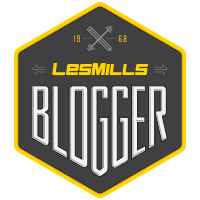 (They are kinda expensive…around $11 a jar) I also tried the dark chocolate peanut butter cups…so good! Then I found this little beauty… Katalyst Kombucha-Bliss-Berry! My mom and I split this tea and it was SO GOOD! I tried another Kombucha before and I could barely get it down it was so strong. Mom wasn’t sold on it, but I LOVED this tea!!!!!! 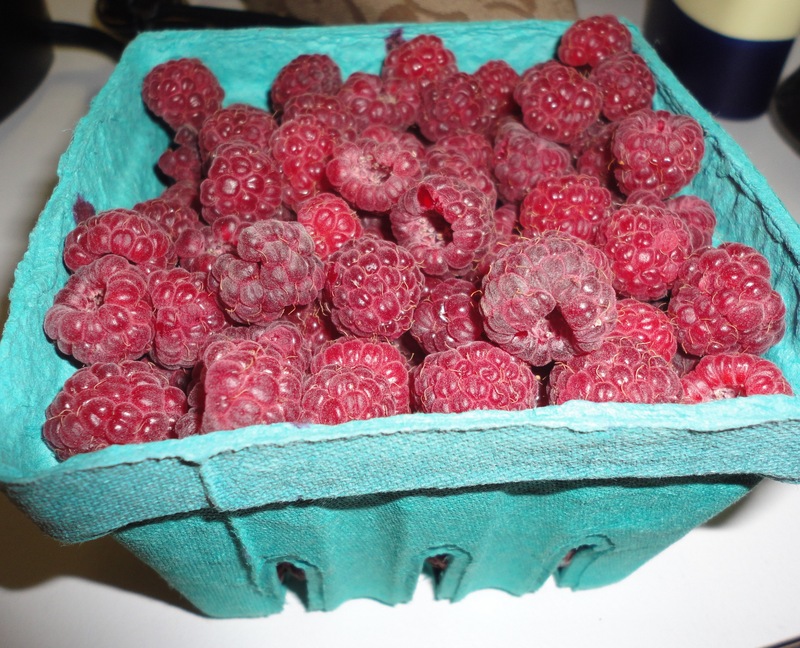 Raspberries from the local orchard!! My lunch! 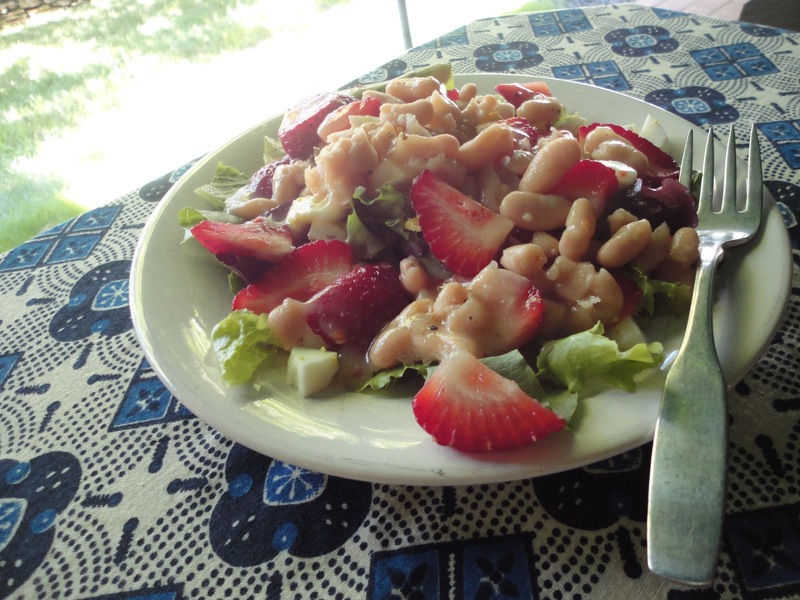 I was so hungry I threw beans, strawberries, egg and more into a salad!